While Afghan law enforcement officials claim that Daesh is on retreat, military analyst General Saleh Mohammad Rejistani does not share their enthusiasm. Over the last six months the number of foreign militants joining Daesh (ISIS/ISIL) has considerably increased, General Saleh Mohammad Rejistani, a military analyst and former parliamentarian of the Islamic Republic of Afghanistan says, amid official reports that the terrorist organization has been nearly defeated in the country. "Daesh consists of foreign fighters who are operating in [the country]," the general told Sputnik Afghanistan. "During the last six months, their number has increased dramatically. Having been defeated in Syria and Iraq they moved to Afghanistan." According to Rejistani, Daesh footholds are located in four provinces in the north and north-east of Afghanistan: namely, Faryab, Jawzjan, Sari-Pol and Badakhshan. "The majority of Daesh terrorists came from Central Asian countries. In the last six months they have been joined by representatives of other states," the general said, adding that some of them appear to be Arabs with French and British citizenship. The general specified that the militants enter Badakhshan via two routes: the first one is going through Chitral (northeast of Pakistan) and the Warduj valley. The second one is through Chitral to Nurestan. Pakistan serves as a "bridge" for the transfer of militants. The main centers of the terrorist deployment are in Chitral, Waziristan and Peshawar, according to the military analyst. Rejistani added that terrorists are arriving in other areas of the country, for example, in Panjshir. "The Doab district of Nurestan province is the nearest neighbor to Panjshir province. Recently, 13 families have arrived there. Two families are from Iraq, the rest are probably from the Central Asian states," the general said. According to the analyst, the terrorists are being redeployed from Syria and Iraq: "There is no doubt that having suffered a defeat in Syria and Iraq, Daesh terrorists are moving to Afghanistan; this year 100-120 people have appeared in the valley of Warduj in the province of Badakhshan with 15-16 families." He suggested that Pakistan's intelligence services are transferring the fighters to the north of Afghanistan through Pakistan. The general foresees that after March 21 (the Afghan New Year), the number of Daesh terrorists will increase. "Those families who are already here could not cross the mountains because of the snow and stayed in Nurestan," he explained. "However, this is not the most suitable place for their activities, because government centers are quite far [from the region]. In Panjshir they cannot operate at full strength. I think that next year they will go to Badakhshan." Rejistani believes that Daesh's major goal is to cross the Amu Darya and destabilize the neighboring country of Afghanistan. Previously, in November 2017, residents and the administration of Afghanistan's northern provinces spotted French-speaking Daesh terrorists. For instance, Mohammad Dawar, the head of the Darzab district of the Jawzjan province, told Sputnik that citizens of France and Algeria were operating in the region. 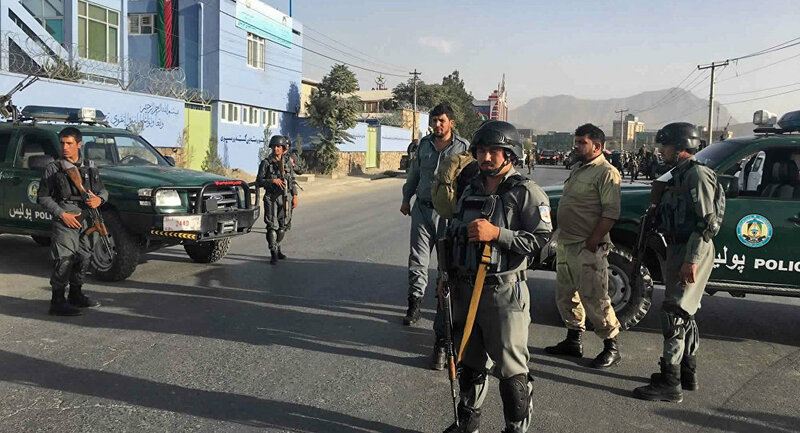 Dawar's assumption about the presence of French citizens on the ground was later confirmed by representatives of the national security service in Kabul. Furthermore, Mohammad Reza Qafuri, the spokesperson for the governor of Jawzjan Province, reported that after the terrorists had expanded their activities to the north of the country, including the Jawzjan province and border areas with Uzbekistan, they managed to recruit about 50 children aged about 10 years old. On February 1 Russian Special Presidential Envoy for Afghanistan and the Foreign Ministry's Director of the Second Asian Department Zamir Kabulov stated that about 7,000 militants and several thousand "reservists" of Daesh are currently operating in Afghanistan. "We are following the genesis of the Afghan branch of Daesh in the last three years… According to our estimates, the Islamic State has around 7,000 active militants, not taking into account several thousand reservists," the envoy told the Rossiya 24 broadcaster, adding that the terrorists' goal is to further destabilize governments of the Central Asian states. Meanwhile, the situation in Afghanistan is deteriorating as another terrorist organization, the Taliban, continues to control directly or indirectly about seventy percent of the territory of the country, despite the US recently stepping up its airstrikes against the group. One of the main sources of income for terrorists is the drug trade: the country supplies almost 80 percent of the world's opium. A record of almost 10,000 tons of opium was produced just in 2017. At the same time, following the start of the US' withdrawal from Afghanistan in 2011, poverty mounted to 39 percent while the number of unemployed reached 2 million people, according the Government of the Islamic Republic of Afghanistan and the World Bank. The views and opinions expressed by Saleh Mohammad Rejistani are those of the speaker and do not necessarily reflect those of Sputnik.